Painting is one of the most essential steps to be done after construction of any building/house. Painting is done to protect the surface of the walls as well as to increase appearance. In this article, I will discuss how to calculate the quantity of paint required in a building. Before starting the calculation let me tell you one important thing that quantity of paint is calculated in gallon. US gallon and Uk gallon. 1 Uk gallon = 4.546 litres. In this calculation we will use US gallon. 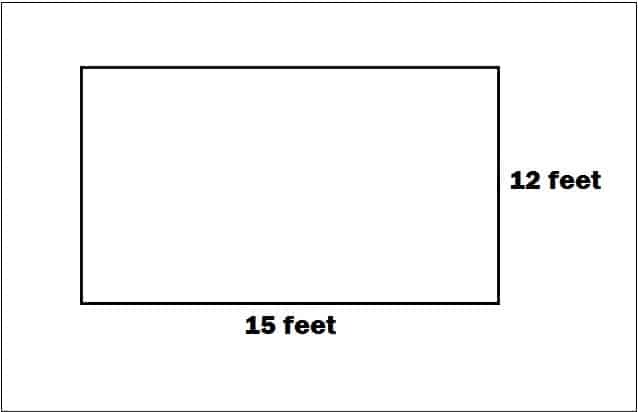 The height of the wall = 12 feet. Area of the wall 15 x 12 = 180 sft. 1 gallon of paint can cover up to 200 sft area of dry wall. Quantity of paint = 180/350 = 0.514 litre. Let the price of 1 gallon paint = Rs 1200. Price of 0.514 gallon paint = 0.514 x 1200 = 617 Rs. Area of dry wall = 180 sft. Quantity of paint = 180/200 =0.9 gallon. Price of 0.9 gallon paint = 0.9 x 1200 = 1080 Rs. 1. If the wall has any openings, subtract the area of openings from total area & then calculate paint quantity.